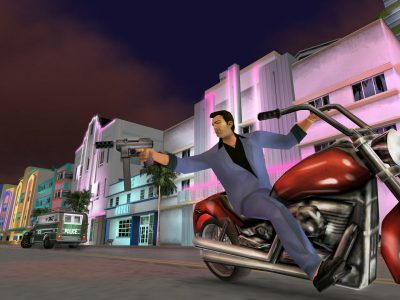 Grand Theft Auto: Vice City is a dynamic third-person action in the open world. 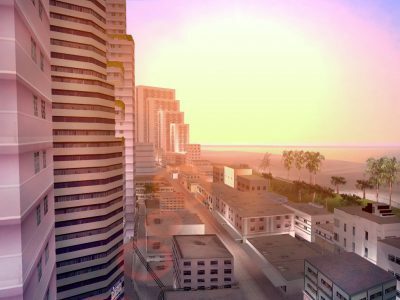 The game takes place in the Sunny city of Vice City, in the 80s, where wealth and poverty, palaces and slums coexist. You play as Tommy Vercetti. He was released from prison in Liberty City after 15 years in prison. At the direction of the boss, Sonny Forelli, Tommy goes to Vice City to make an important deal with drug dealers. ✔ Non-linear plot in the spirit of a criminal action movie with dozens of side quests. ✔ Full freedom of action and an unlimited number of options for passing: in the game you can become a police officer, fireman, ambulance driver or make a career of a pornographer, drug dealer and gangster-mafia. ✔ A variety of vehicles: from fast, agile motorcycles and sports cars to ships, military helicopters and tanks. ✔ 33 types of knives and firearms: in addition to the usual samples of military and civilian weapons, you can use a chainsaw, a samurai sword, a flamethrower, a Molotov cocktail and even a Golf club to destroy enemies. ✔ Over 8 hours of music: nine Vice City radio stations have a superb collection of music from Brian Adams, Ozzy Osbourne, Michael Jackson, Megadeth, Blondie, Iron Maiden, INXS, Slayer, Yes and other legendary bands and artists of the 1980s. 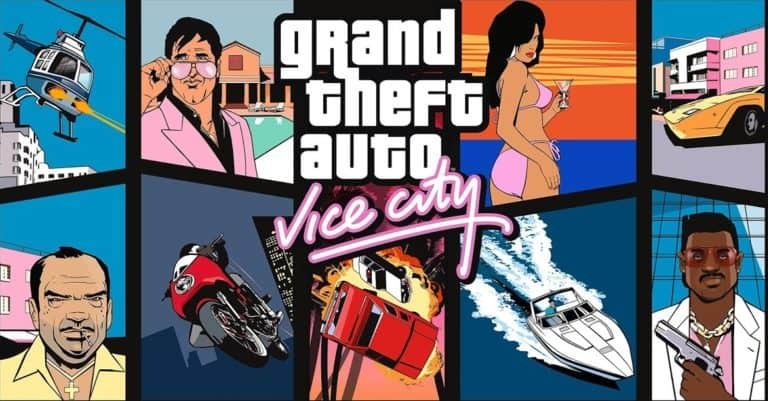 Grand Theft Auto: Vice CityMac Download Free Game for Mac OS X + Torrent!